DALLAS, Jan. 31, 2019 /PRNewswire/ — Brinker International, Inc. (NYSE: EAT), a recognized leader in casual dining, announces the appointment of Cindy L. Davis and John W. Chidsey to its Board of Directors. Davis is an accomplished executive with a track record of driving innovation and profitable growth globally. She previously served as vice president of Nike, Inc. and president, Nike Golf. Prior to that, Davis was senior vice president at Golf Channel, a division of Comcast Corporation with responsibilities for golf sponsorships, sports marketing and media, and was formerly president and chief executive officer of Arnold Palmer Golf Management, LLC. In addition to Brinker, Davis serves on the Board of Directors for Deckers Brands and Kennametal, Inc.and previously served on the board of Buffalo Wild Wings, Inc.
Brinker International, Inc. is one of the world’s leading casual dining restaurant companies. Founded in 1975 and based in Dallas, Texas, as of Dec. 26, 2018, Brinker owned, operated, or franchised 1,685 restaurants under the names Chili’s® Grill & Bar (1,632 restaurants) and Maggiano’s Little Italy® (53 restaurants). DALLAS, Jan. 24, 2019 /PRNewswire/ — The passion of Maggiano’s Little Italy® Teammates is simple – make every Guest feel special. From made-from-scratch, classic Italian-American dishes served family style to its welcoming, family atmosphere, Maggiano’s sets the bar high. The study polled more than 6,000 consumers to understand America’s favorite casual brands in seven categories, such as pizza, breakfast, steakhouse, Italian and seafood. Maggiano’s is the overall champion and topped the charts for the best food and best value, a rare balance in the casual dining segment. Maggiano’s also placed first in the Italian category for the fifth year in a row. In 1991, Maggiano’s opened its first location on the corner of Clark Street and Grand Avenue in Chicago. The restaurant was successful from the very beginning, with eager diners sometimes waiting hours for an opportunity to enjoy made-from-scratch recipes passed down through generations. The meals have always been served family-style, making Maggiano’s the go-to destination for special occasions and getting together with family and friends. 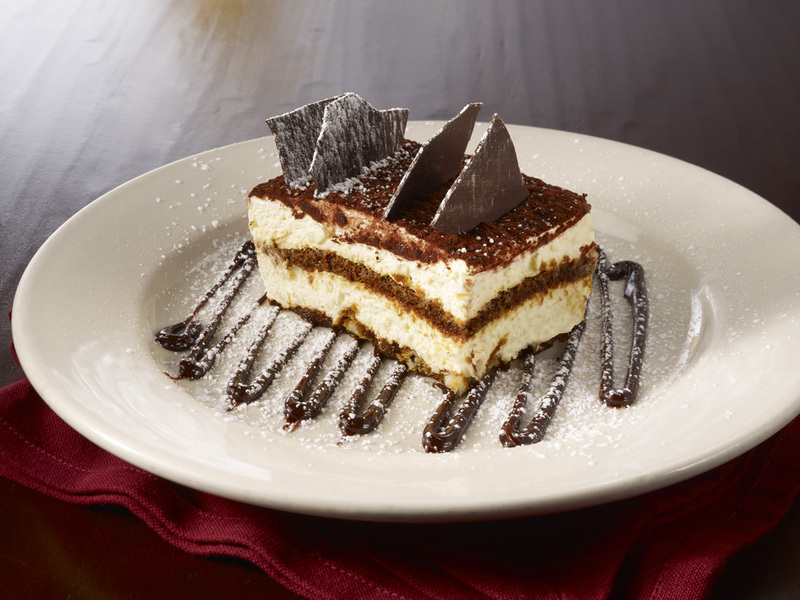 Maggiano’s Little Italy specializes in Italian-American cuisine served in a warm and friendly atmosphere. 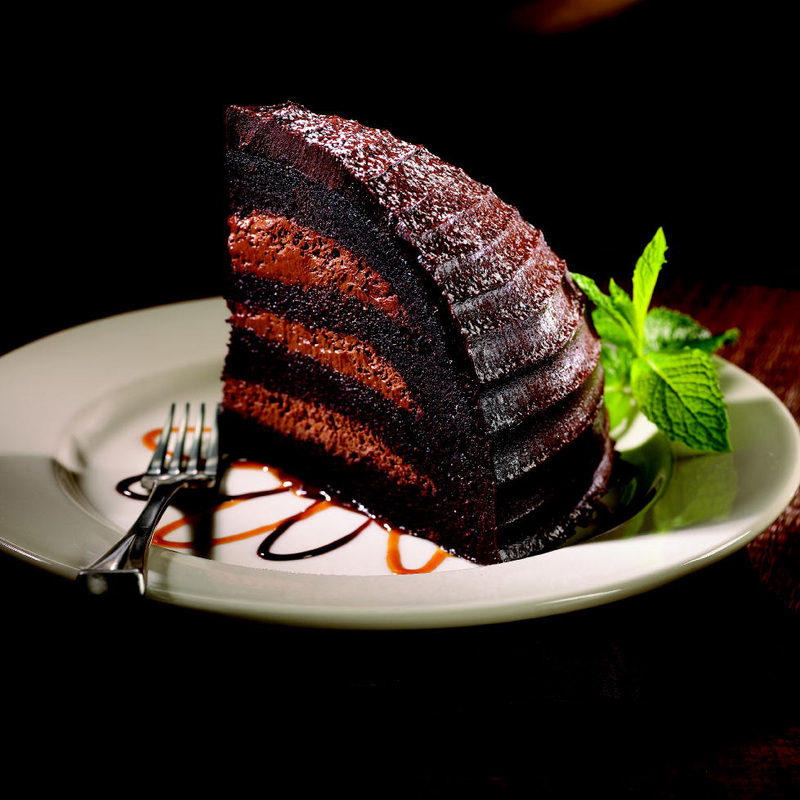 Maggiano’s menu features both classic and contemporary recipes – authentic pastas, signature salads, prime steaks, fresh seafood, regular chef specials and specialty desserts. Maggiano’s 52 restaurants nationwide offer brunch, lunch and dinner as well as delivery, carryout services and banquet spaces for special occasions. Maggiano’s is owned and operated by Brinker International, Inc. (NYSE: EAT), one of the world’s leading casual dining restaurant companies, serving more than one million guests daily. Brinker owns or franchises more than 1,600 restaurants in 32 countries and two territories. In addition to Maggiano’s, Brinker owns and operates Chili’s®Grill & Bar. 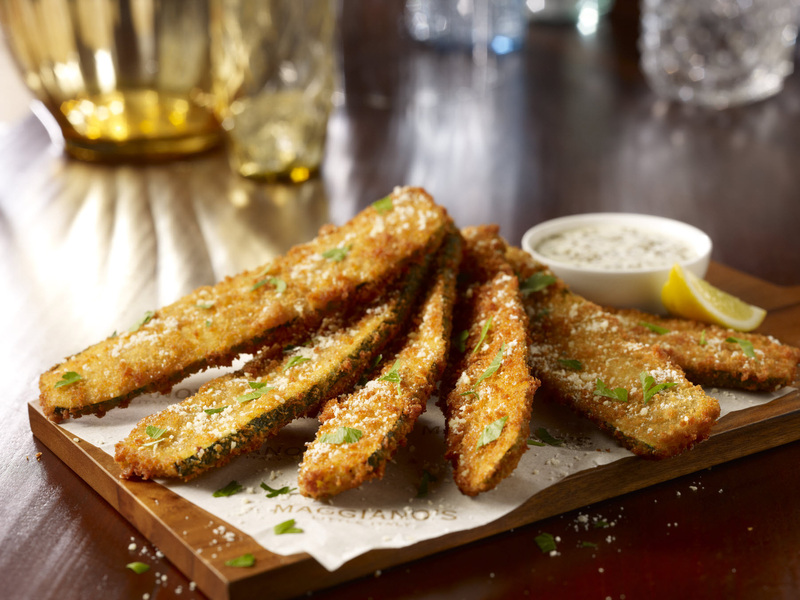 Follow news about Maggiano’s on Facebook, Twitter, Instagram, YouTube and Pinterest. For additional information, including the restaurant nearest you, please visit maggianos.com. Market Force Information is a customer experience (CX) management company that provides location-level measurement solutions that help businesses protect their brand reputation, delight customers and make more money. Solutions include customer experience surveys, employee engagement surveys, mystery shopping, contact center services and social media review tracking, which are integrated into one technology and analytics platform, KnowledgeForce. Founded in 2005, Market Force has a growing global presence, with offices in the United States, Canada, United Kingdom, France and Spain. It serves more than 200 clients that operate multi-location businesses, including restaurants, major retailers, grocery and drug stores, petro/convenience stores, banking & financial institutions and entertainment brands. The company has been recognized as one of the Top 50 Market Research Organizations in the AMA Gold Report. For more information about Market Force, please visit marketforce.com. DALLAS, Oct. 23, 2018 /PRNewswire/ — Brinker International, Inc. (NYSE: EAT) has scheduled its earnings conference call at 10:00 a.m. Eastern Time on Tuesday, Oct. 30, 2018 to review first quarter fiscal 2019 earnings, which will be announced before the market opens on Oct. 30, 2018. The live audio webcast can be accessed through the Investor Relations section of Brinker’s Web site at http://investors.brinker.com/phoenix.zhtml?c=119205&p=irol-eventDetails&EventId=5275870. A replay of the conference call will also be available on the company’s web site for 30 days after the event and via Thomson StreetEvents for their service subscribers. DALLAS, Oct. 11, 2018 /PRNewswire/ — Don’t be a basic witch this year for Halloween because honestly you deserve better and no one wants to see you in a taco foam costume for the third year in a row. Transform into the “Hi, welcome to Chili’s” vine with our first-ever Halloween costume. Go to welcometochilis.com to get your hands on this Halloween treat while supplies last. This one-of-a-kind Chili’s® Grill & Bar costume is sourced from tears of pure laughter, made with the finest cotton-polyester blend known to man and designed with a custom pattern you won’t find anywhere else. This Halloween, slip on your boxers and hold up that cardboard cell and get ready to welcome people to Chili’s all night long! We can’t wait to see the viral sensation you’ll become thanks to a bathroom mirror near you. Feel free to tweet us your photos @chilis or tag us on Instagram. Now, go order the best costume of the year here before it sells out! CHILI’S PARADISE PIE IS BACK, BABY! DALLAS, Oct. 1, 2018 /PRNewswire/ — If you’ve been tracking our menu updates as any good Chili’s-loving Guest should, you know that the Paradise Pie took a break from our menus a few years ago. That news made many of our loyal Guests passionately clap back. So this is for all of you who were upset with us. 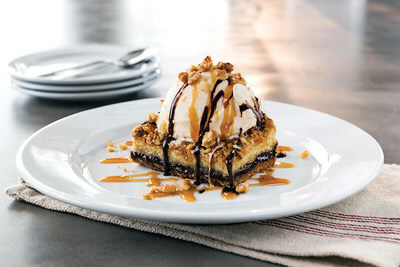 Today, we’re announcing the return of our beloved Paradise Pie to select Chili’s® Grill & Bar menus nationwide. Not only is the Paradise Pie back, but it’s also giving back. Starting today, every purchase of this mouthwatering dessert will benefit both your taste buds and St. Jude Children’s Research Hospital® because $.50 from each Paradise Pie purchase will be donated to St. Jude. So, if those testimonials don’t tell you the kind of treat you’re in for, I’m not sure what will. If you missed the first appearance of the Paradise Pie on the menu a few years ago, here’s the deal. The Paradise Pie is a dessert packed with chocolate chips, walnuts and coconut that sits under a heavenly bed of vanilla ice cream, hot fudge and caramel. What more could you ask for? It’s basically a mountain of sweet treats bundled into one ooey gooey dessert. Eat it for yourself or share it with a friend, or two; we’re not here to judge because if we’re being honest with ourselves (and you) we may or may not have just devoured one too. So, ultimately, we had no choice but to bring back the Paradise Pie. And we’re excited to benefit St. Jude year-round with the help of an iconic menu item. Since 2002, we’ve proudly supported the lifesaving work of St. Jude and are dedicated to its mission of Finding cures. Saving children®. 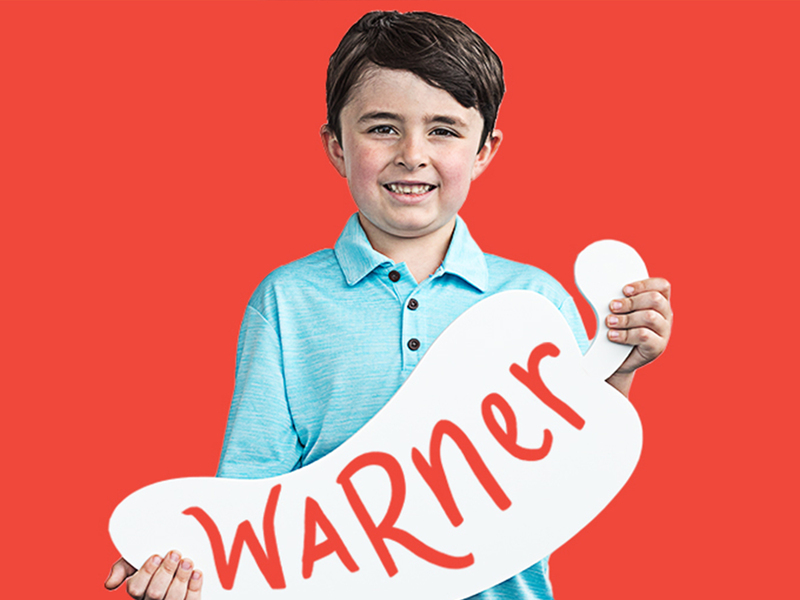 To date, we have raised more than $68 million with the help of our gracious Guests and Team Members to ensure that no family ever receives a bill from St. Jude for treatment, travel, housing or food – because all a family should worry about is helping their child live. And now you can easily help give back too by simply ordering the Paradise Pie. Really. It’s that simple. 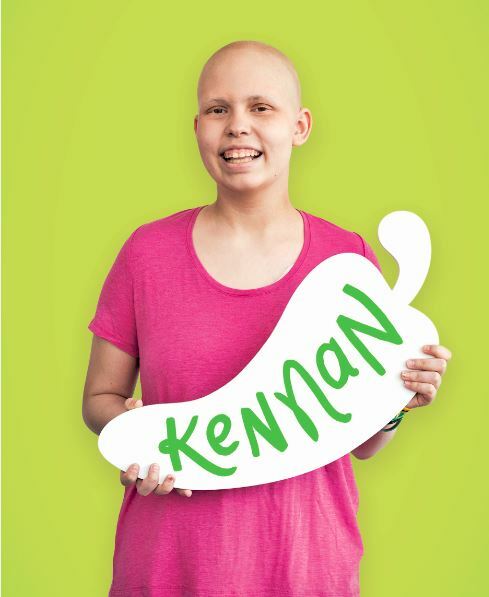 Find a Chili’s near you here. If you’re curious to learn more about our longstanding partnership with St. Jude, read along here. 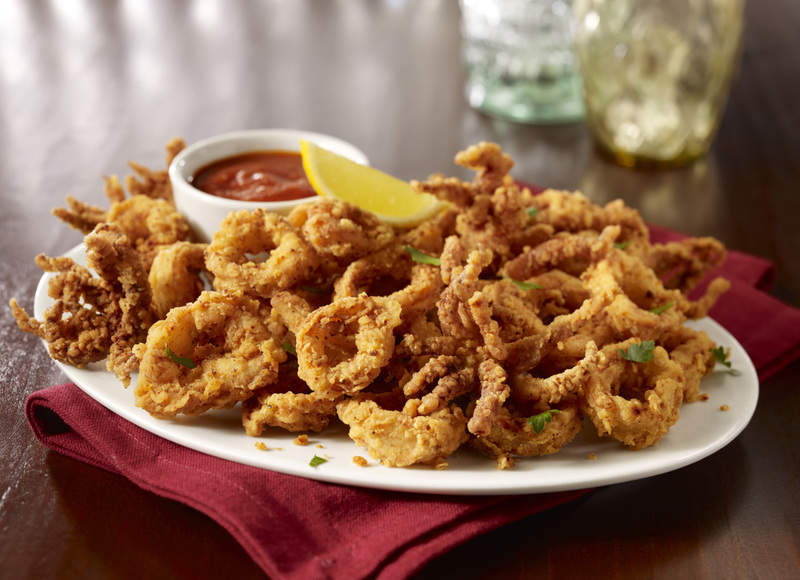 DALLAS, Aug. 21, 2018 /PRNewswire/ — Maggiano’s Little Italy® Guests can now double the portion on any carryout order for appetizers, salads, pastas, desserts and more without doubling the price! Known for its made-from-scratch, classic Italian-American dishes served family style, a visit to Maggiano’s is reminiscent of a Sunday night visit to grandmother’s (nonna’s) house where there was plenty of food to go around and enough leftovers for everyone to take some home too. Starting today, that same tradition is now part of the carryout experience with the new menu option to Double the Portion, Not the Price. “We decided to launch our new carryout menu to all Maggiano’s restaurants nationwide so our Guests can enjoy more Maggiano’s at a greater value,” added Konecny. To celebrate this new menu launch, Guests who take advantage of doubling the portion on any carryout menu item will receive a complimentary slice of New York Style Cheesecake – made fresh daily – today through Aug. 23. To learn more about the new carryout menu visit www.maggianos.com/double-the-portion and to enjoy more Maggiano’s without doubling the price, place a carryout order online at www.orders.maggianos.com. 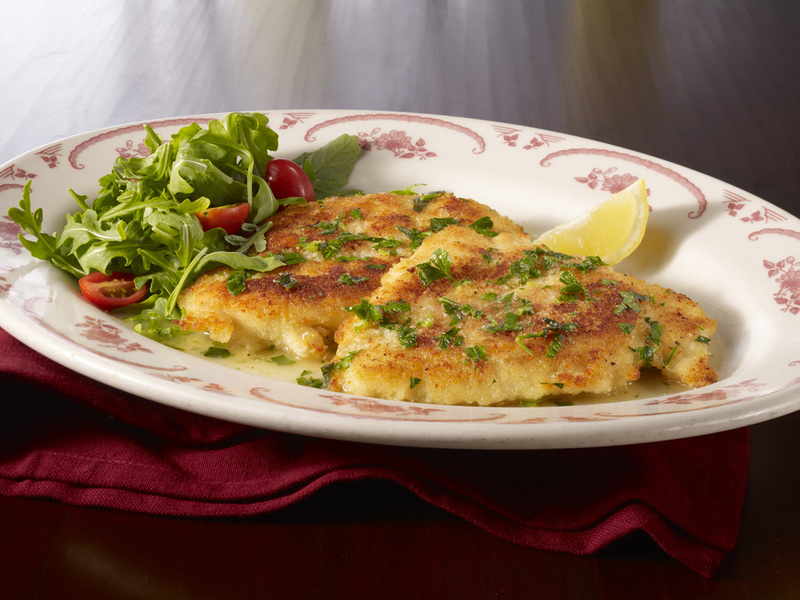 Maggiano’s Little Italy® specializes in Italian-American cuisine served in a warm and friendly atmosphere. 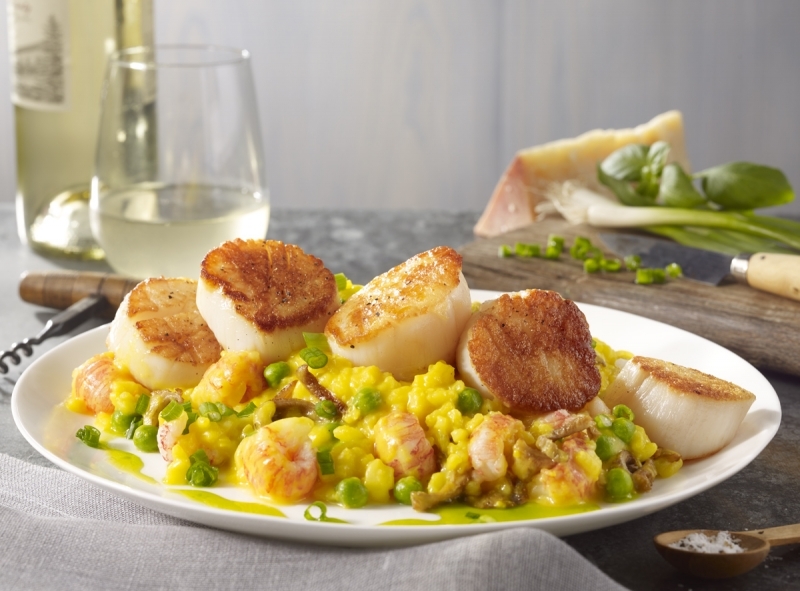 Maggiano’s menu features both classic and contemporary recipes – authentic pastas, signature salads, prime steaks, fresh seafood, regular chef specials and specialty desserts. Maggiano’s 52 restaurants nationwide offer lunch, dinner and brunch, delivery, carryout service and banquet spaces for special occasions. Maggiano’s is owned and operated by Brinker International, Inc. (NYSE: EAT), one of the world’s leading casual dining restaurant companies, serving more than one million guests daily. Brinker owns or franchises more than 1,600 restaurants in 30 countries and two territories. In addition to Maggiano’s, Brinker owns and operates Chili’s® Grill & Bar. 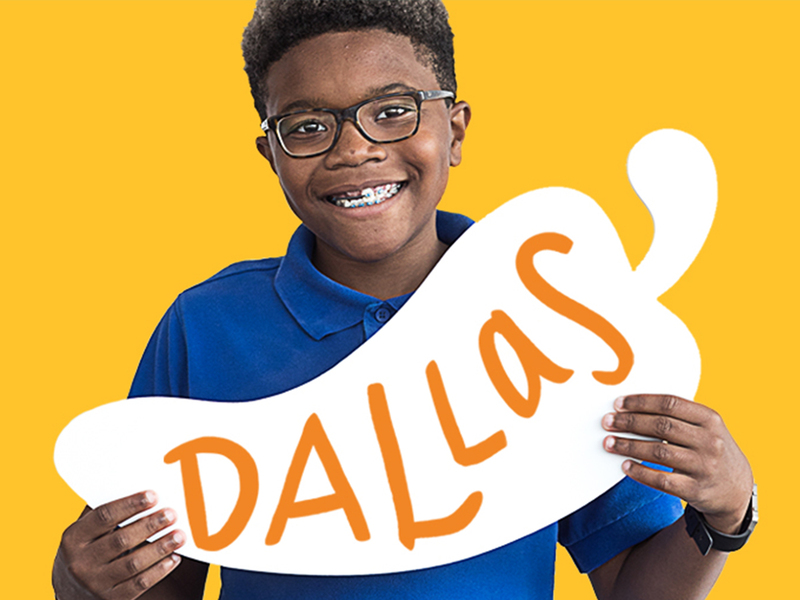 DALLAS, Aug. 14, 2018 /PRNewswire/ — Brinker International, Inc. (NYSE: EAT) today announced results for the fiscal fourth quarter and year ended June 27, 2018. On a GAAP basis, earnings per diluted share in the fourth quarter of fiscal 2018 decreased 1.0% to $1.01 compared to $1.02 for the fourth quarter of fiscal 2017. On a GAAP basis, earnings per diluted share in fiscal 2018 decreased 7.5% to $2.72 compared to $2.94 for fiscal 2017 Brinker International, Inc. In the first quarter of fiscal 2019, we entered into three purchase agreements to sell and leaseback 143 restaurant properties located throughout the United States. Subsequently under these purchase agreements, we have completed sale leaseback transactions of 137 of these restaurants for aggregate consideration of $443.1 million. The net proceeds from these sale leaseback transactions were used to repay borrowings on our revolving credit facility. The initial term of the leases are for 15 years. At June 27, 2018 the approximate net book value of the 137 restaurant properties included in the August 2018 completed sale leaseback transactions were land of $100.9 million and building and leasehold improvements and fixtures of $61.3 million. CHILI’S company sales in the fourth quarter of fiscal 2018 increased 0.8% to $688.2 million from $682.9 million in the fourth quarter of fiscal 2017 primarily due to an increase in comparable restaurant sales and an increase in capacity in the United States. As compared to the fourth quarter of fiscal 2017, Chili’s restaurant operating margin1 declined. Restaurant labor, as a percent of company sales, increased compared to the fourth quarter of fiscal 2017 due to higher wage rates, incentive bonus and employee health insurance expenses, partially offset by sales leverage. Cost of sales, as a percent of company sales, increased compared to the fourth quarter of fiscal 2017 due to unfavorable menu item mix and promotional activities, partially offset by favorable commodity pricing. Restaurant expenses, as a percent of company sales, decreased compared to the fourth quarter of fiscal 2017 primarily due to lower loyalty program related expenses and lower technology-related operating lease expenses and sales leverage, partially offset by increased repairs and maintenance expenses and To Go supplies expense. MAGGIANO’S company sales in the fourth quarter of fiscal 2018 increased 0.3% to $103.2 million from $102.9 million in the fourth quarter of fiscal 2017 primarily due to an increase in comparable restaurant sales. As compared to the fourth quarter of fiscal 2017, Maggiano’s restaurant operating margin1 improved. Cost of sales, as a percent of company sales, decreased compared to the fourth quarter of fiscal 2017 due to favorable menu item mix and increased menu pricing, partially offset by unfavorable commodity pricing. Restaurant labor, as a percent of company sales, increased compared to the fourth quarter of fiscal 2017 due to higher wage rates and incentive bonus. Restaurant expenses, as a percent of company sales, increased compared to the fourth quarter of fiscal 2017 primarily due to increased rent expense and repairs and maintenance expenses, partially offset by lower workers’ compensation insurance expenses. Restaurant operating margin is defined as Company sales less Cost of sales, Restaurant labor and Restaurant expenses and excludes Depreciation and amortization expenses (see non-GAAP reconciliation below). FRANCHISE AND OTHER revenues in the fourth quarter of fiscal 2018 increased 3.6% to $25.7 million from $24.8 millionin the fourth quarter of fiscal 2017 primarily due to higher gift card-related revenues, partially offset by a change in the timing of retail food royalties and a decrease in franchise fees and development fees. Brinker franchisees generated approximately $336.4 million in sales2 for the fourth quarter of fiscal 2018. Royalty revenues are recognized based on the sales generated and reported to the Company by franchisees. Depreciation and amortization expense for the fourth quarter of fiscal 2018 decreased $1.2 million compared to the fourth quarter of fiscal 2017 primarily due to an increase in fully-depreciated assets and retirements from restaurant closures and restaurant remodels, partially offset by depreciation on asset replacements, new restaurant openings and an increase in technology-related capital lease depreciation. General and administrative expense for the fourth quarter of fiscal 2018 increased $3.1 million compared to the fourth quarter of fiscal 2017 primarily due to higher performance-based compensation expenses, payroll expenses, and professional service fees. The Tax Cuts and Jobs Act of 2017 (the “Tax Act”) enacted during the second quarter of fiscal 2018 lowered the federal statutory tax rate. Brinker’s federal statutory tax rate for fiscal 2018 decreased to 28.1%, representing a blended tax rate for the current fiscal year based on the number of days in the fiscal year before and after the effective date of the Tax Act. For subsequent years, our federal statutory tax rate will be 21.0% under the Tax Act. On a GAAP basis, the effective income tax rate decreased to 20.5% in the fourth quarter of fiscal 2018 from 25.2% in the fourth quarter of fiscal 2017. This decrease was driven primarily by the positive impact of the lower federal statutory tax rate. Excluding the impact of special items (see non-GAAP reconciliation below for details), the effective income tax rate decreased to 19.9% in the fourth quarter of fiscal 2018 compared to 27.8% in the fourth quarter of fiscal 2017 primarily due to the lower federal statutory tax rate. The Company believes providing estimated fiscal 2019 earnings per diluted share, excluding special items, guidance provides investors the appropriate insight into the Company’s ongoing operating performance. Brinker provides annual guidance as it relates to comparable restaurant sales, earnings per diluted share, excluding special items, certain non-GAAP measures and other key line items in the consolidated statements of comprehensive income and will only provide updates if there is a material change versus the original guidance. We are unable to reliably forecast special items such as restaurant impairments, restaurant closures, reorganization charges and legal settlements without unreasonable effort. As such, we do not present a reconciliation of forecasted non-GAAP measures to the corresponding GAAP measures. If special items are reported in the remainder of fiscal 2019, reconciliations to the appropriate GAAP measures will be provided. Brinker management uses certain non-GAAP measures in analyzing operating performance and believes that the presentation of these measures in this release provides investors with information that is beneficial to gaining an understanding of the Company’s financial results. Non-GAAP disclosures should not be viewed as a substitute for financial results determined in accordance with GAAP, nor are they necessarily comparable to non-GAAP performance measures that may be presented by other companies. Reconciliations of these non-GAAP measures are included in the tables below. Brinker believes excluding special items from its financial results provides investors with a clearer perspective of the Company’s ongoing operating performance and a more relevant comparison to prior period results. See footnote “2” to the Consolidated Statements of Comprehensive Income presented below for additional details on the composition of these other gains and charges. The income tax effect related to special items is based on the statutory tax rate in effect at the end of each period presented. Fiscal 2018 amounts primarily relate to the tax impact from the Tax Reform re-measurement of deferred taxes resulting from the tax rate decrease from 35.0% to 21.0% and the tax impact from IRS settlements and excess tax shortfalls associated with stock-based compensation. Fiscal 2017 amounts primarily relate to favorable resolution of liabilities established for uncertain tax positions. Restaurant operating margin is not a measurement determined in accordance with GAAP and should not be considered in isolation, or as an alternative to operating income as an indicator of financial performance. Restaurant operating margin is widely regarded in the restaurant industry as a useful metric by which to evaluate restaurant-level operating efficiency and performance of ongoing restaurant-level operations. This non-GAAP measure is not indicative of overall company performance and profitability in that this measure does not directly accrue benefit to the shareholders due to the nature of costs excluded. We define restaurant operating margin as Company sales less Company restaurant expenses, including Cost of sales, Restaurant labor and Restaurant expenses. Restaurant expenses include advertising expense. We believe this metric provides a more useful comparison between periods and enables investors to focus on the performance of restaurant-level operations by excluding revenues not related to food and beverage sales at company-owned restaurants, corporate General and administrative expense, Depreciation and amortization, and Other gains and charges. Restaurant operating margin excludes Franchise and other revenues which are earned primarily from franchise royalties and other non-food and beverage revenue streams such as banquet service charges, digital entertainment revenues and gift card breakage. Depreciation and amortization expense, substantially all of which is related to restaurant-level assets, is excluded because such expense represents historical costs which do not reflect current cash outlays for the restaurants. General and administrative expense includes primarily non-restaurant-level costs associated with support of the restaurants and other activities at our corporate offices and is therefore excluded. We believe that excluding special items, included within Other gains and charges, from restaurant operating margin provides investors with a clearer perspective of the Company’s ongoing operating performance and a more useful comparison to prior period results. Restaurant operating margin as presented may not be comparable to other similarly titled measures of other companies in our industry. For those who are unable to listen to the live broadcast, a replay of the call will be available shortly thereafter and will remain on Brinker’s website until the end of the day Sept. 11, 2018. Additional financial information, including statements of income which detail operations excluding special items, franchise and other revenues, and comparable restaurant sales trends by brand, is also available on Brinker’s website under the Financial Information section of the Investor tab. First quarter earnings release, before market opens, Oct. 30, 2018. Brinker International, Inc. is one of the world’s leading casual dining restaurant companies. 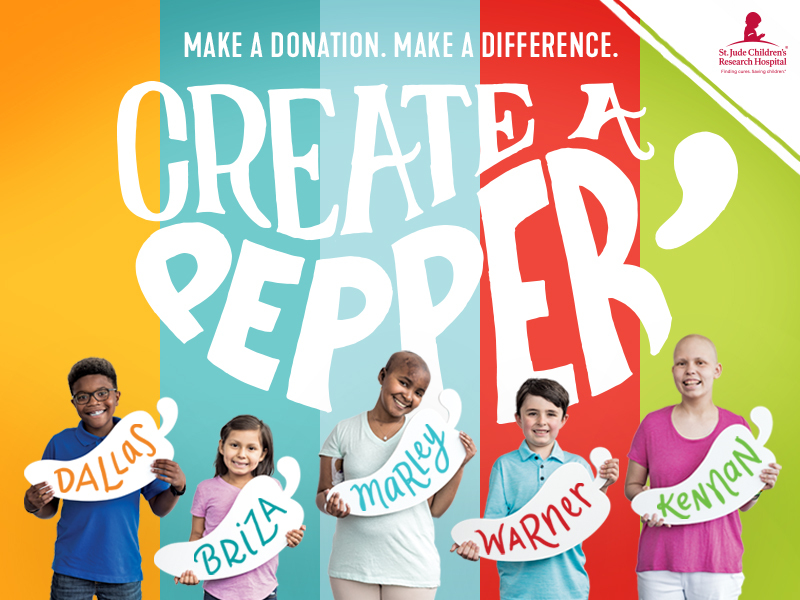 Founded in 1975 and based in Dallas, Texas, as of June 27, 2018, Brinker owned, operated, or franchised 1,686 restaurants under the names Chili’s®Grill & Bar (1,634 restaurants) and Maggiano’s Little Italy® (52 restaurants). The statements and tables contained in this release that are not historical facts are forward-looking statements within the meaning of Section 27A of the Securities Act of 1933 and Section 21E of the Securities Exchange Act of 1934. Forward-looking statements are based on our current plans and expectations and involve risks and uncertainties which could cause actual results to differ materially from our historical results or from those projected in forward-looking statements. These risks and uncertainties are, in many instances, beyond our control. Such risks and uncertainties include, among other things, general business and economic conditions, financial and credit market conditions, litigation, reduced disposable income, the impact of competition, the impact of mergers, acquisitions, divestitures and other strategic transactions, franchisee success, the seasonality of the Company’s business, increased minimum wages, increased health care costs, adverse weather conditions, loss of key management personnel, product availability, actions of activist shareholders, terrorist acts, consumer perception of food safety, changes in consumer taste, health epidemics or pandemics, changes in demographic trends, availability of employees, unfavorable publicity, the Company’s ability to meet its business strategy plan, material weaknesses in internal control over financial reporting, governmental regulations, tax reform, inflation, technology failures, and failure to protect the security of data of our guests and teammates, as well as the risks described under the caption “Risk Factors” in our Annual Report on Form 10-K and future filings with the Securities and Exchange Commission. Franchise and other revenues includes royalties, development fees, franchise fees, Maggiano’s banquet service charge income, gift card breakage and discounts, digital entertainment revenue, Chili’s retail food product royalties, merchandise and delivery fee income. Foreign currency translation adjustment included within Comprehensive income in the Consolidated Statements of Comprehensive Income represents the unrealized impact of translating the financial statements of the Canadian restaurants and the Mexican joint venture (prior to divestiture) from their respective functional currencies to U.S. dollars. This amount is not included in Net income and would only be realized upon disposition of the businesses. Net property and equipment at June 27, 2018 includes land and buildings for 194 of the 997 company-owned restaurants. The net book values of the land totaled $147.1 million and the buildings totaled $88.2 million associated with these restaurants. At June 27, 2018 the approximate net book value of the 137 restaurant properties included in the August 2018 completed sale leaseback transactions were land of $100.9 million and building and leasehold improvements and fixtures of $61.3 million. We relocated two company-owned restaurants in fiscal 2018. In fiscal 2019, we plan to relocate five company-owned restaurants. Relocations are not included in the above table.